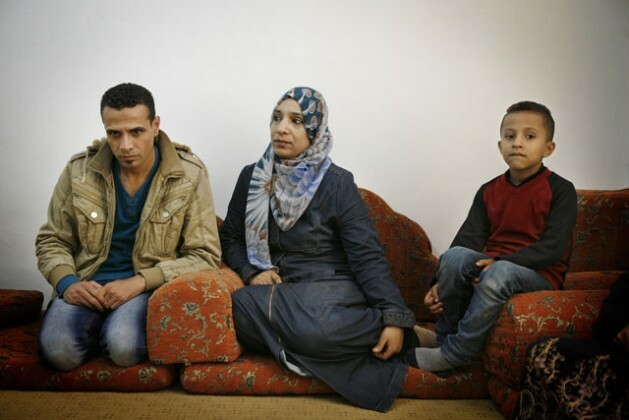 GAZA, Palestine, Mar 11 2016 (IPS) – In the safety of his sister’s bare flat in Beit Hanoun, Gaza, 42 year-old Iyad Yusef still shakes his head in disbelief when he recounts the journey that from war-torn Syria, brought him and his family to the relative safety of the blockaded strip. It was the year 2012 and by December, close to half a million Syrians had fled the country. But for stateless Palestinian refugees who had lived in Syria since the 1948 war with Israel, leaving was becoming harder every day. By April 2012, as disclosed by Human Rights Watch, Jordan was detaining Palestinian refugees from Syria in a facility on the border. Egypt was enforcing a transit only policy. Lebanon was beginning to tighten measures that resulted in a full ban on Palestinians in 2015 and in some cases in forced deportations back to Syria. And in Turkey, where the UN Relief and Work Agency (UNRWA) set up in 1948 for Palestine Refugees in the Near East has no operations, Palestinians were reportedly excluded from UN High Commissioner for Refugees’ services, despite an article in the 1951 Convention on Refugees guaranteeing their protection in special cases. As the Palestinian policy network Al Shabaka stresses, since 1948 Arab and neighbouring states have explained their unwillingness to absorb Palestinians as a way to protect their right of return and not absolve Israel of its duties. This status quo though, the think-tank concludes, has resulted in heavily discriminatory policies which have left stateless Palestinians in legal limbo. It was through the grapevine that Yusef heard of families successfully returning to Gaza, in occupied Palestine. He began planning the journey for his wife, three children, his mother and for his sister’s family. Theirs, he recalls thinking, would not be just a journey to safety but one of return. They left at different times but the trip was the same for all. First, a flight to Cairo, then by bus across the Sinai to Rafah and on foot through the tunnels to Gaza. Since 2012, some 400 Palestinian families, roughly 1,800 individuals, escaping Syria have made this same journey. “Walking underground in that tunnel, felt like being trapped in my own grave,” Yusef told IPS. He smiles when he admits that he hoped the people of Gaza would be waiting at the other end to welcome them as ‘returnees’. But as he climbed above ground and his eyes finally caught a glimpse of the night gracing his homeland – that idealised land called Palestine which had filled his dreams and which in its absence had so sharply defined his identity – he realised they were alone. 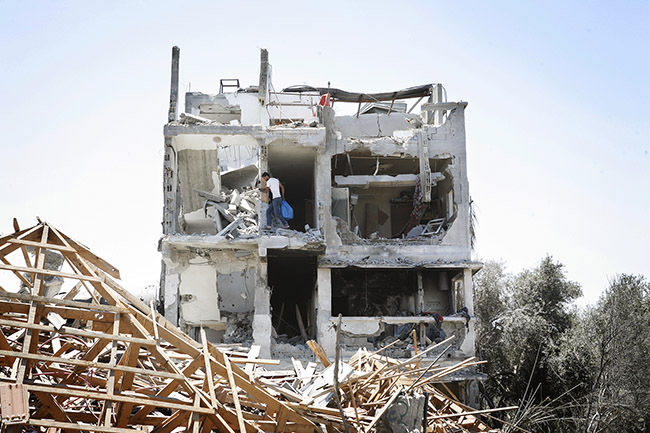 This is a common refrain in Gaza, where the people pay the consequences of the ongoing Israeli blockade and of the internal rifts between the Palestinian Authority (PA) and the de-facto Hamas government. But for Yusef, ‘abroad’ is further away than it already is for most Gazans. Palestinians from Syria, who entered illegally and have not been registered by Israel, which still controls the population registry, cannot even apply for exit papers since they effectively do not exist. The only document they can be issued by the local authorities is an ID card without a number. Only few NGOs are offering some informal assistance but budgets are usually tied to specific projects and specific categories of beneficiaries. Amongst NGOs, the assumption is also that UNRWA is looking after them. But the agency is facing problems of its own. “We are in the midst of the worst financial crisis in our history,” Chris Gunness, UNRWA spokesperson told IPS, urging donors to dig into their pockets because it is seven times cheaper to deal with refugees here in the Levant than it is in Europe or the West. In the vacuum left by the lack of a political solution to the Israeli-Palestinian conflict and with only a faulty humanitarian system to help them, refugees are losing hope. Although there are a number of success stories of Palestinian refugees from Syria who have opened businesses and rebuilt their lives in Gaza, for the majority, things have been far from the idyllic dream of return. To make their voices heard, a group of Palestinians from Syria established the association Hakki. Omar Ouda, Hakki’s spokesperson, arrived in Gaza in 2012. “Even when we were few, it took us such a long time to get any help at all,” he told IPS. “We set up a picket in front of the Ministry for Social Affairs to make them realise we are here and that we need a long-term solution.” Despite regular demonstrations, not much assistance has materialised. Even getting the association registered was a problem given their lack of regular papers. In time, UNRWA channelled some funds to help some families pay the rent, then some temporary job opportunities came up but none of this help, complains Ouda, has been regular. “We are still mostly looking out for ourselves,” he concluded. This has led many to lose faith in the possibility of staying in Gaza at all, let alone return one day to their villages in Israel. “We are lawyers, teachers and doctors looking for an opportunity to stay in Gaza, in Palestine, in our homeland,” Atef Ammawi, a member of Hakki, told IPS. “We feel betrayed, the right of return is an empty promise. We are so few and still no one can help us?” Those who can, he added, are getting the money together to leave illegally, hoping to reach Europe, Canada or the USA. Already 160 of the 400 families that have reached Gaza since 2012, have left.